In February, New York-based singer-songwriter Emily King will be embarking on her first headlining North American tour. Known for her strong, soulful voice and poignant, laidback melodies, King has received notable recognition in the R&B world — earning a Grammy nomination for her debut album East Side Story in 2007. After touring with established acts such as John Legend, Nas and Alicia Keys. King is ready to command the main stage in support of her most recent album, 2015’s The Switch. The Daily Californian: Your debut album, East Side Story, was nominated for a Grammy. How did it feel to be getting such recognition right off the bat? Emily King: I had mixed feelings about it. I was really happy to have the nomination, but I was in a really confusing artistic space. It’s a little strange for me to have recognition for the album because I wasn’t a thousand percent with how the album had ended up. But I was excited. That was something I’d always wanted — well, to win a Grammy. That was the actual dream. DC: What do you mean by confusing artistic state? EK: I was young and trying to please the business and trying to please the people I was working with. I was still growing as a songwriter, so there was a lot of growing pains that went into the album. I guess I did the best I could at the time, but I don’t think I was ready. DC: You’ve already toured with established artists like John Legend, Erykah Badu and Sara Bareilles. Has this exposure influenced your own work at all? EK: It has! Yeah, I had some really great experiences with going on tour with artists. I started out making records and then learning how to play them live, which I don’t recommend. I do recommend playing live first and then making records. But having these artists play every night and just being (able) to stand on the side of the stage watching them was a huge experience for me. It felt very lucky, better than any college experience in my field. DC: In general, where do you draw inspiration for your sound? Is it more based off personal experiences or based off influences by other artists? EK: It’s all personal, in a sense, but I also like to tell fictional stories that didn’t happen to me but might have happened to a friend or in a movie. So, I don’t limit the inspiration — I take what I can get. But also I feel that the stronger, more potent lyrics come from my own life story, and I see that with other artists too. The closer you can get to your own feelings, the more it will translate to other people. DC: Musically, where do you look for inspiration? EK: I listen to a lot of older music. I love classic rock — although I think I’ve squeezed the last bit of inspiration out of that. I love the Eagles, just everyone. The ‘70s is really the decade that I love, music-wise, anything that came out of that decade. I try to listen to music that I haven’t heard before, because that’s always an exciting thing to listen to. You just don’t know what’s going to happen next. I listen to music I’m familiar with as therapy, but I listen to music I don’t know when I’m trying to learn something. DC: Your sound is very reminiscent of R&B, soul and jazz. Do you have influences on that end? EK: I do! I grew up with a jazz background. My folks were always playing Duke Ellington, all of those American Songbook songs. That was my foundation. I also listened to a ton of R&B and hip-hop growing up. HOT 97 was really the main station in New York City. That was my bible growing up, pretty much. Just all day, HOT 97. So all ‘90s R&B and hip-hop is very ingrained in me. DC: How did New York influence your work? EK: You’re exposed so many different things here, it’s hard to even keep track. All types of stories, you know, you’re confronted with different types of people, different sounds. I suppose everybody comes to New York to be the best at what they do, so you get exposed to that, you know, to the best, if you’re looking for it. I was fortunate to hear a lot of great live music, due to all the great musicians that come through New York. DC: You’re forced to challenge yourself. EK: Exactly. It hurts a little. It hurts a little to see someone that is so great that it makes you want to give up, and then you go and try harder. DC: Your newest album, The Switch, has received quite a bit of attention. What were the inspirations for the album in particular? EK: The Switch was me and (producer) Jeremy Most. We went through a lot of different songs. I really wanted something fun. Performing these past few years, I’ve kind of realized I like to have fun on stage and not just sing slow ballads. So I wanted something that would translate live. There’s a lot of Michael Jackson, a lot of soul, Motown. I don’t know. It’s never on purpose, you know. It just kind of comes out that way. I would say the main influence was for the record was the drum. I was trying to write songs based on drumming and rhythm. DC: What was your songwriting process? EK: I rarely start with lyrics. I wish I were more of a poet. I do like drumming a rhythm these days, because if I don’t do that, I fall back into my comfort zone, which is more slow. So I’ll purposely find a different rhythm I’ve never done before and try to write a song on top of it. DC: How do you feel about starting your headlining tour in February after playing as an opener on so many other tours? EK: Oh, it’s just so amazing. It felt like, for a while, it was always going to be opening act, support act. It feels great to know that there are people out there who are going to support the music. I really made the record so that I can perform. So I’m just happy I can just be with the people and have a shared experience with the music. DC: What kind of energy do you try to bring to your live shows? EK: I try to bring definitely energy, period. That’s the first goal. Then it’s always like, man, it’s gotta be genuine though, genuine energy. Whatever emotion is supposed to happen, you have to find a way to bring that out in an authentic way, even if you just did it yesterday. That’s the goal, a focused energy. DC: What are you most looking forward to on tour? EK: Being with my band — I love the people that I travel with — and seeing that everybody out there has been listening to the record and putting a face to the people that have been supporting my life very much. That’s really amazing to me. 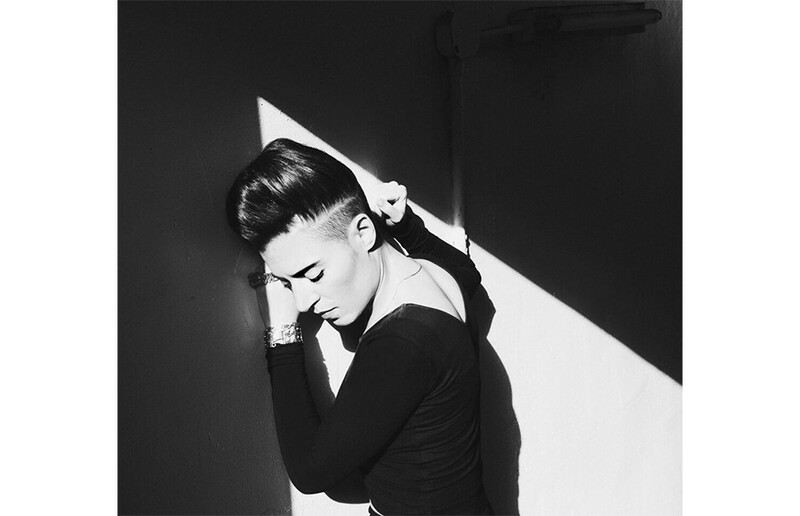 Emily King is playing at the New Parish in Oakland on Feb. 4.